While most interest paid towards personal debt is not tax deductible, the government has made an exception for student loan interest. 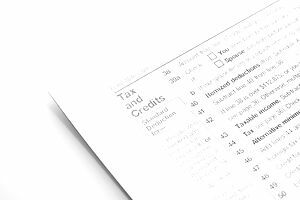 The deduction can decrease your taxable income by thousands, depending on your situation. One of the most common misconceptions about the Student Loan Interest Deduction is that a parent can claim it for helping make payments on their child’s loan. That is not the case. A parent can only take the deduction if they are personally liable for that loan. This means that Stafford, Perkins, and PLUS Graduate loans will not be deductible to a parent since the student is the borrower. The Student Loan Interest Deduction allows an individual to deduct any interest actually paid, not just accumulated, on a student loan during the calendar year, as long as certain conditions are met. The maximum deduction is $2,500 and is subject to income limitations. This deduction is actually an “above the line” adjustment, which means you do not need to itemize your other deductions to get it. In other words, you can take the standard deduction and still deduct your student loan interest. The actual deduction requires the use of a more complex formula, but the basic premise is simple. In essence, you can only deduct the portion of each loan payment that represents interest. You may also deduct any fees that you pay up front to receive the loan, such as origination fees, over the life of the loan. Certain types of loans do not qualify for the Student Loan Interest Deduction. These would include a loan taken from a qualified plan like a 401K or 403b and loans made between related parties. For example, if your grandparent gave you a personal loan for your education expenses, the interest on the loan would not be tax deductible. No one else can claim you as an exemption on his or her tax return. You are legally obligated to pay the interest on the student loan. You actually paid the interest. Accumulation of interest on your balance by itself is not deductible. Further, the money received for the loan must be used only for tuition, room, board, books, or fees in order to be deductible. The Student Loan Interest Deduction is reduced (or “phased-out”) for taxpayers with certain levels of Modified Adjusted Gross Income (MAGI). $64,999 (MAGI) or less – The full deduction is permitted. $65,000 – 79,999 (MAGI) – A partial deduction is permitted. $80,000 (MAGI) or more– No deduction is permitted. $129,999 (MAGI) or less – The full deduction is permitted. $130,000 - $159,999 (MAGI) – A partial deduction is permitted. $160,000 or more – No deduction is allowed. The Student Loan Interest Deduction can be taken in the same year as the Hope Scholarship and Lifetime Learning Tax Credits. There is a “double dipping” rule, however, that prohibits deducting the interest twice if it qualifies for a separate type of deduction.